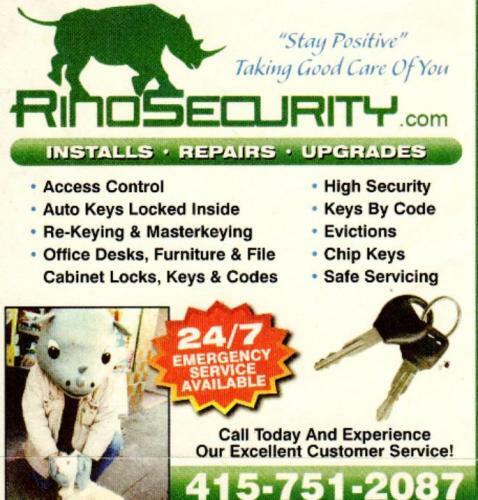 We are a 24 hour 7 day a week emergency locksmith serving all of San Francisco. You can call anytime and we will get you back into your home or car usually within a half hour of the phone call. We also offer re-keying if you have recently moved or if you are a property manager and have recently rented a unit. Remember it’s is necessary to re-key at least one lock exclusive to the unit for each new rental. It protects you from any liability. We offer master keying if you have locks in numerous locations that you want to all work with one key while still preserving a unique key for each lock. Our specialty is Access control hardware such as electric key pads, electric strikes, magnetic locks and electrified panic bars, crash bars and exit devices.